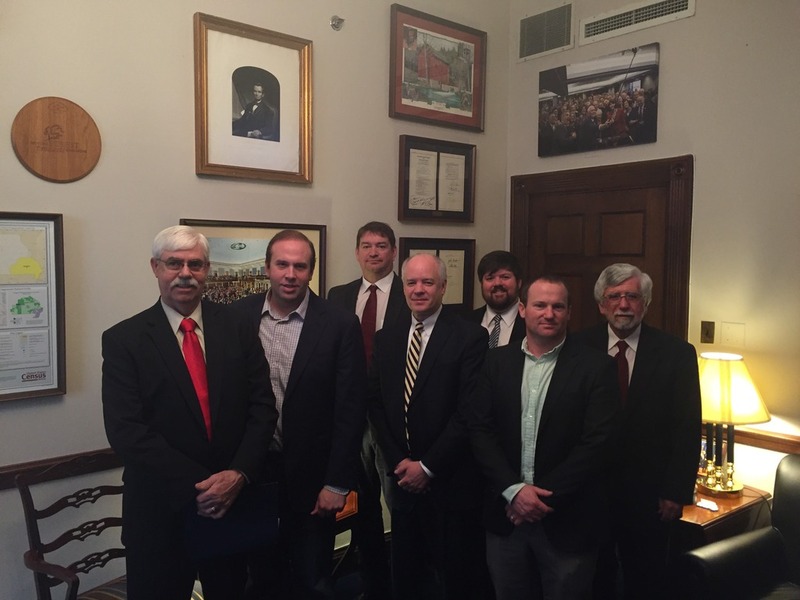 Congressman Jason Smith (R-MO) welcomed USRPA Missouri representatives this week. USRPA board members conducted a successful fly-in this week in Washington, DC. Members from Texas, Missouri, Arkansas, Louisiana, and California met with policymakers at the U.S. Department of Agriculture, U.S. Trade Representative, and with their Representatives and Senators about issues ranging from the Farm Bill to trade. On trade, USRPA board members discussed the U.S. – China rice protocol and USTR action, Colombian rice access, support for Cuba trade legislation, and the importance of trade with Mexico and Central and South American countries. For more detail on the issues discussed, the one-pager for the trip is below.